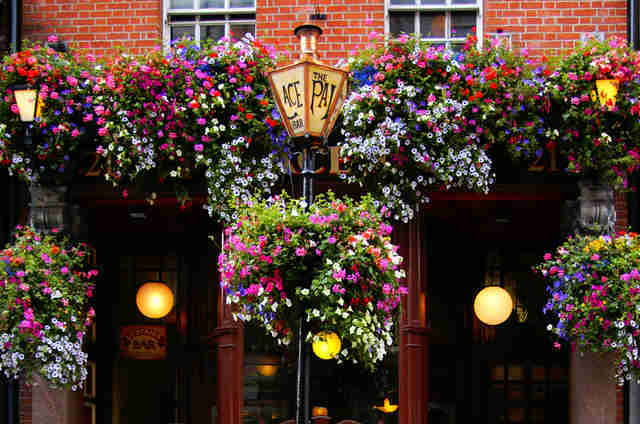 Dublin is a city that's famous for its ceol agus craic (music and fun), but if you’re not sure where to go for a pint, the number of bars on offer can seem a little daunting. However, there’s certainly a pub (or three) for all seasons, depending on your vibe, occasion, or budget, so here are 15 spots that represent the crème de la crème of the capital's pub scene. This pub should win an award for being the prettiest boozer in Dublin, and will impress most people at first sight. The appeal goes beyond looks, though: it's also got a fun, laid-back atmosphere, serves gin cocktails in a teapot with saucers, and is in close proximity to several nice date restaurants, like Farmer Browns and Juniors. 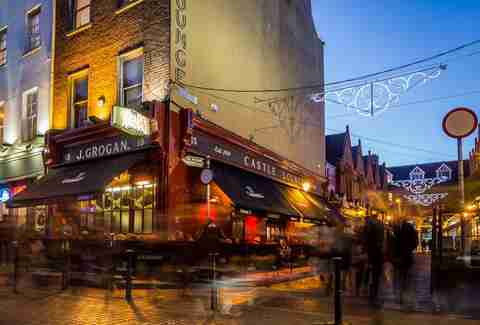 If you want a pint of the black stuff, a ham-and-cheese toastie, and a slice of real Dublin life, Grogan's is for you. You can sit outside and watch the hipsters go by on South William St and Castle Market (bonus for dog lovers -- there are usually a few pooches hanging on the terrace with their owners) or take a seat inside. The toilets aren't glamorous, and the drink selection isn't marvelous, but it's a Dublin institution nevertheless. The recent craft beer boom means there are many, many joints where you can find local or specialist brews, but this pub wins because of the sheer scope of its offerings, the inclusion of craft whiskey from all over the world, and a delicious food menu to boot. Plus, it’s away from the hustle and bustle of the city centre, and the interior design is authentic without being too hipstery. 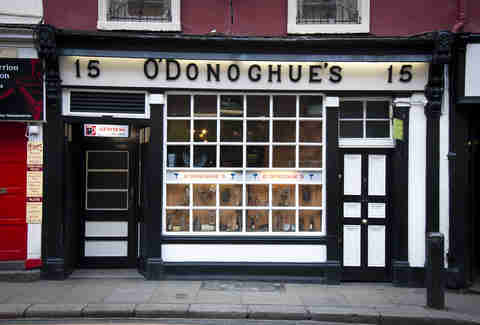 This is an old-fashioned pub beloved by Dubliners, which is rare in Temple Bar. Upstairs, it’s entirely dedicated to Irish whiskey, and the guys that run the place love the uisce beatha so much they invented their own brew. 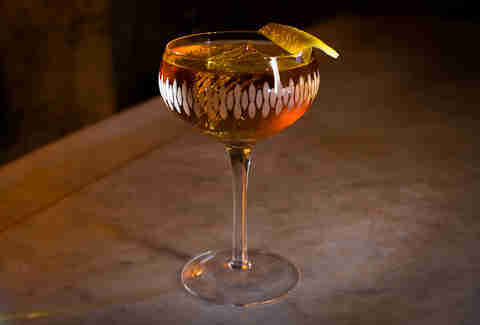 If you’re more into bourbon, give Bison Bar on the quays a go. She's the self-proclaimed "Queen of Ireland," so it’s no surprise that Panti Bliss' bar is a favourite with gay and straight people alike. It hosts drag nights and bingo, but it’s also just a regular pub during the day, albeit one with snappy décor and a cool vibe. Famous for hosting the cream of the crop in Irish traditional music, the proximity of this bar to fancy hotels like the Merrion and the Shelbourne mean that celebrities often pop up in here. There's an open-air section for smokers or sun worshippers (on the rare event sunshine makes an appearance), as well as a couple of floors inside. Prices are reasonable, and the crowd is mostly professionals and trad worshippers. This gastropub in the hip enclave of Stoneybatter is constantly winning awards for its fresh, beautifully presented, and delicious seasonal food. The pub itself is also popular for whiskey and craft beer, and hosts a fun, free quiz on the last Sunday of every month. If you’re in the neighbourhood, Walsh's pub a few doors down is great to watch a match or have a quiet pint. Vintage is another rare find in Temple Bar, and there's no sign indicating this place even exists -- but if you know to knock on the black door, you’ll be escorted upstairs to a vintage paradise. The cocktails are fantastic (if not exactly cheap), and the smoking area is very cool too. This north side watering hole boasts the city's biggest beer garden (which also handily has big screens to watch sporting events on). It’s a sun trap on a bright day, and a bit of a hidden gem not far from some of Dublin's biggest tourist traps. On the south side, Baggot St is your best bet for a winning beer garden -- both McGrattans and Toners are winners. 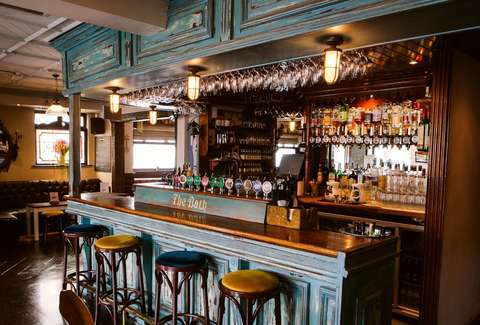 Hidden away in Georgian Dublin, off the beaten track, this gem of a bar will have you descend into calm and serenity as soon as you walk down its stairs. 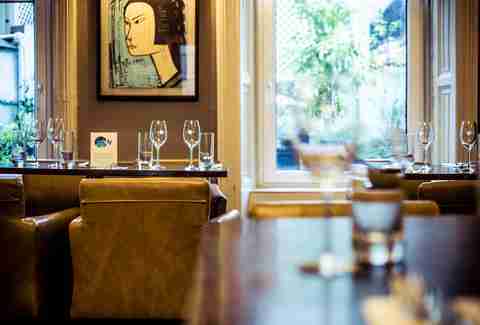 The wine menu is vast, the accompanying nibbles delicious, the crowd sophisticated, and the location classy. A brilliant spot to catch up with old friends or to take somebody you want to impress. Another Dublin institution, this is a sports bar, a nightclub, and a popular singles spot, but it's also known for its super-cheap drink promotions (typically on Sundays and student nights) -- and even when the promos are over, the drinks are a bargain. It opens really late, serves food in the early evenings, and has been the cause of many a hangover. 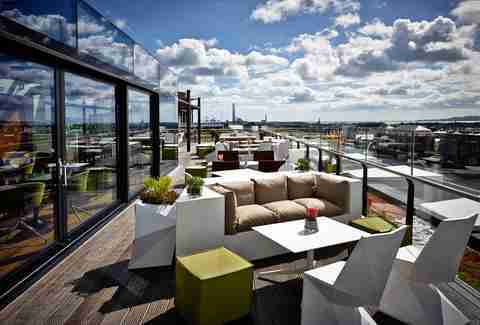 If you like your boozing al fresco at an elevated height, the very classy Marker Hotel is the place for you. High-end cocktails and bar bites, unparalleled views of the city’s docklands and beyond, and a very slick aesthetic mean this place is fun and seriously impressive. Call before you go, though, because it’s sometimes closed for private events. This bar, adjacent to St Stephen's Green, wins because of its handy outdoor screens (for smokers and passers-by alike). It’s a huge place with several screens showing rugby, football, GAA, and even NFL games, and has a nice atmosphere for somewhere so central and popular -- and the drinks aren't a ripoff, either. It’s a restaurant, a nightclub, and a bar, and it attracts Dublin's beautiful people in droves. 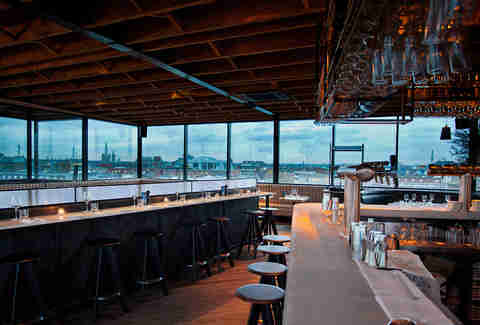 There's a cool terrace overlooking the city's most famous strip of nightclubs (including Coppers) and an indoor bar surrounded by windows, offering a panoramic view of the south city. It was a toss-up between this dark and mysterious boozer on the north side Luas tracks, and the pub across the road, Frank Ryans. Dice Bar won because it embodies the kind of dive you’d find in New York, the drinks are cheap and the music is always spot on. Vicki Notaro is a Dublin-based freelance writer, columnist, and magazine editor who loves to eat and drink her way around her beloved city. Follow her on Twitter, Instagram, and Snapchat: @vickinotaro.